Engaged employees always impact your bottom line. Don’t believe us? Ever try purchasing a product from an employee who looked or sounded bored or unhappy? Did it make you want to buy more? Engagement is incredibly valuable to an organization – but how do you know whether your workers are truly engaged?We’ll show you how to assess your engagements levels, looking at each of the six areas on the chart above. Then we’ll help you . . . The result? A truly healthy, productive environment in which employees are engaged, goal-focused and committed. 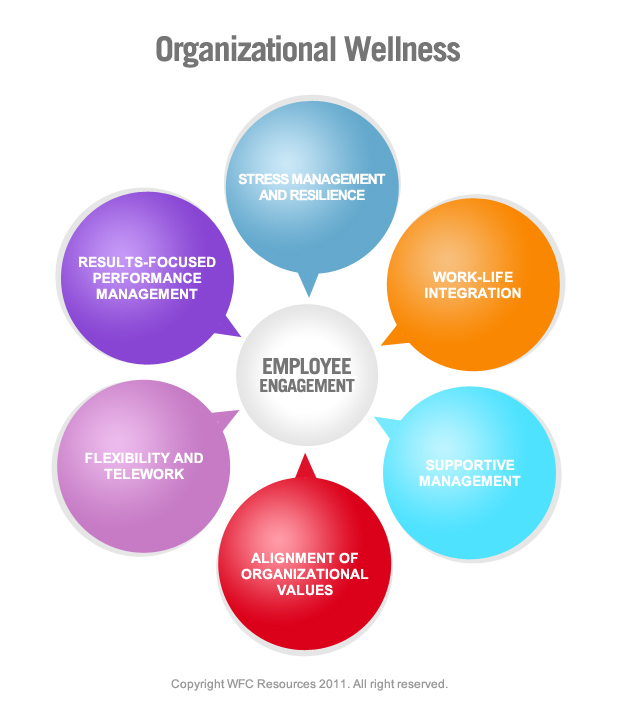 Organizational wellness is one critical key to success! We all know how important personal health and wellness is. But sometimes we forget the incredible impact organizational wellness – or the lack of it – can have on each of us. A healthy organization is one with a healthy culture, committed to mutual respect, personal and professional growth, shared values, open communication and fairness. Its core values: trust, respect and commitment. We liked this list of eight traits that define a healthy culture. It was developed by the Institute for Business, Technology, and Ethics. Denial, blame, and excuses harden relationships and intensify conflict. Successful teams hold each other accountable and willingly accept personal responsibility. Both extremes–an excessive, reckless risk-taking and a stifling, fearful control–threaten any organization. Freedom to risk new ideas flourishes best within appropriate limits. Mediocrity is easy; excellence is hard work, and there are many temptations for shortcuts. A search for excellence always inspires both inside and outside an organization. Punishing honest mistakes stifles creativity. Learning from mistakes encourages healthy experimentation and converts negatives into positives. Dishonesty and inconsistency undermine trust. Organizations and relationships thrive on clarity, transparency, honesty, and reliable follow-through. Turf wars and narrow thinking are deadly. Drawing together the best ideas and practices, integrating the best people into collaborative teams, multiplies organizational strength. The playing field is not always level, or life fair, but healthy cultures remain both realistic about the challenges they face and unintimidated and undeterred by difficulty. If these factors are not present in your organization, you may need to embark on a culture-change effort. How F.A.I.R. is your organization? 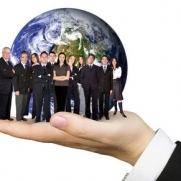 Focused – Is your organization centered on employee and customer engagement? Is your staff crystal-clear about your mission, vision, goals, values, business plan and brand? Do managers understand the intrinsic role each plays in the organization’s overall success? Do employees? Aligned – Is there a clear relationship between all your organizational strategies and business plans? Do you have the right resources, the right people, the right learning, development and total rewards? Are all systems working in concert to create customer value and achieve business results? Innovative – Is your organization using the latest technology to achieve its goals? Are you rewarding creative thinking? What mechanisms, metrics and performance measures are in place to show what and who is facilitating growth, and what is standing in the way of achieving the culture you envision? Responsive – Is your organization actively collecting and utilizing feedback from staff and customers to enhance its success? Are managers encouraged to be supportive of employees’ personal as well as professional goals? Are employees empowered to make creative (and cost-saving) decisions either singly or as a team? You can visit our Resource Center to get more resources and read more about the business case for Work-Life, Flexibility and Telework, Employee Engagement, Stress Management, Wellness and Resilience, Supportive Management and Results-focused Performance Management.